Compact GarageVac saves valuable garage space. 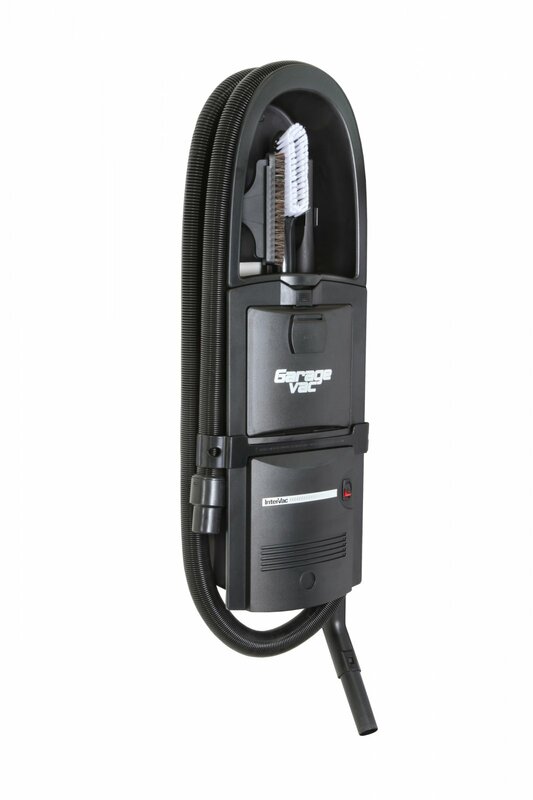 Sleek, lightweight alternative to bulky canister style garage vacuums but just as powerful. Only 2 ½ feet of wall space is required. The vacuum cleaner is stored neatly away but it’s right at your fingertips. At just 9lbs., it’s a snap to install. The built in tool caddy keeps all your accessories organized and at your fingertips, while the stretch hose goes from 8’ to 40’ so you can clean the car while its parked in the driveway and still reach inside the house to clean the high traffic kitchen area.Additional features:Hypo Allergenic Filtration—Won’t contaminate the air. Patented design of the vacuum chamber prevents the bag from collapsing so it can fill all the way to the top without losing suction. One bag last and average of four months. Steel one-piece wand—Adjustable to various heights—won’t crack, rust or corrode. Easy to install—5 minute installation. Just hang on the surface of any wall. Portable—Use it many ways. In your boat, RV, utility room or craft/sewing room.